Paul (knee) was waived off injured reserve by the Jaguars on Friday. Analysis: Paul has been on injured reserve since suffering an MCL sprain in mid-October. 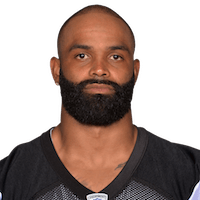 The 29-year-old signed a two-year, $4.75 million deal with the Jaguars in March and had 10 receptions for 98 yards over six games before the MCL sprain. Paul will have to clear waivers before becoming a free agent, when he would then be eligible to sign with any team if healthy. Paul (knee) was placed on injured reserve Tuesday. Paul (knee) is believed to have suffered an MCL sprain in Sunday's 40-7 loss to the Cowboys and is expected to miss time due to the injury, Ian Rapoport of NFL Network reports. Analysis: With Paul -- who caught seven of nine targets for 65 yards in Week 5 -- hobbled, James O'Shaughnessy and David Grinnage are now the only healthy tight ends the Jaguars have available Sunday. Paul caught seven of his nine targets for 65 yards in Sunday's 30-14 loss to the Chiefs. Analysis: Paul took advantage of Austin Seferian-Jenkins leaving Sunday's game with a core muscle injury to post his best single-game performance since 2014. Seferian-Jenkins is headed to injured reserve, creating an opportunity at tight end for Paul and James O'Shaughnessy. The latter currently sits atop Jacksonville's depth chart, though playing time seems likely to be split between the two. Paul caught both targets for 11 yards in Sunday's 31-12 win over the Jets. Analysis: Paul played only nine offensive snaps through the first three games, but he saw 28 against the Jets to post his first multi-catch game since Week 13 of last season. No. 2 tight end James O'Shaugnessy had a similarly increased role this week, limiting Paul's potential. The 29-year-old remains the third tight end on a run-first offense, though QB Blake Bortles has thrown the ball well as Leonard Fournette continues to deal with a hamstring injury. Paul (hamstring) is participating in Thursday's practice, Mike Kaye of FirstCoastNews.com reports. Analysis: Paul was held out of practice both Tuesday and Wednesday with what is now being reported as a hamstring injury, but it looks like it was minor. Paul, if healthy, is expected to operate as the Jaguars' No. 2 tight end this season behind Austin Seferian-Jenkins. Paul did not participate in Tuesday's practice due to an undisclosed reason, Mike Kaye of First Coast News reports. Analysis: Paul's absence is a bit of a mystery at this point, as the nature of his potential injury remains unclear, while James O'Shaughnessy and Ben Koyack figure to see additional reps at tight end behind Austin Seferian-Jenkins. Paul's new team, the Jaguars, released fellow tight end Marcedes Lewis on Tuesday. Analysis: Jacksonville signed Austin Seferian-Jenkins shortly after signing Paul, leaving the 28-year-old as the likely No. 3 tight end. It now seems Paul has a shot at the No. 2 job, though he may have to fend off competition from Ben Koyack and James O'Shaughnessy. Seferian-Jenkins is the one to watch for fantasy purposes, with Lewis' release perhaps freeing up an every-down role. Paul will be joined in Jacksonville by fellow tight end Austin Seferian-Jenkins, ESPN.com's Richi Cimini and Michael DiRocco reports. Paul is signing a two-year deal with the Jaguars, Mike Garafolo of NFL Network reports. Paul finished his 2017 season with 13 receptions for 94 yards across 14 games. Paul recorded three receptions for 12 yards in Thursday's loss to the Cowboys. Analysis: Paul has seen an increased offensive role over the past few weeks with Jordan Reed (hamstring), recording eight receptions in the past three contests. However, he only managed 17 offensive reps Thursday night, a big drop off from the 33 reps he averaged in the two previous weeks. Once Reed returns, expect Paul to see even fewer opportunities on offense. Paul hauled in three of his five targets for 16 yards in Thursday's win over the Giants. Analysis: Vernon Davis has been the biggest benefactor of Jordan Reed's hamstring injury, but Paul ended Thanksgiving night as the tight end with the most targets. Paul now has seven receptions for 56 yards through nine games this season. Those numbers don't leave much to be desired in most fantasy leagues, but with Reed's status still up in the air, Paul could continue to see increased reps for the next few weeks. Paul (concussion) is active for Sunday's contest at New Orleans. Analysis: Paul is putting an end to a two-game absence, during which he recovered from a concussion. He could earn a decent role behind Vernon Davis due to the absence of Jordan Reed (hamstring), but Paul boasts just two receptions (on three targets) for 29 yards this season. Paul (concussion) is listed as questionable for Sunday's game against the Saints, Master Tesfatsion of The Washington Post reports. Analysis: Paul has missed the Redskins' last two games with the head injury, but the team will wait and see if he can clear the NFL's concussion protocol in time to suit up Sunday. If active in Week 11, Paul would serve as the top backup at tight end to Vernon Davis with Jordan Reed (hamstring) set to miss a third consecutive contest. Paul (concussion) is listed as inactive Sunday versus the Vikings, John Keim of ESPN.com reports. Analysis: The concussion protocol remains Paul's domain, which is unfortunate due to Jordan Reed's (hamstring) own absence. The preceding will allow Vernon Davis uninhibited access to tight-end reps, but rookie Jeremy Sprinkle could also earn his most significant run of the season. Paul (concussion), who is listed as questionable for Sunday's game against the Vikings, isn't expected to play in the contest, Dianna Russini of ESPN reports. Analysis: It looks as though the Redskins will be down two tight ends for the second straight week, as starter Jordan Reed (hamstring) is also trending toward being unavailable Sunday. Paul, the third-string option at the position, remains in the concussion protocol and was only able to put in one limited practice this week. The Redskins have listed Paul (concussion) as questionable for Sunday's tilt against the Vikings, Stephen Czarda of the Redskins' official website reports. Analysis: Paul missed the Redskins' Week 10 win over the Seahawks due to a concussion, and is looking like a game-time decision Sunday. Jermy Sprinkle would figure to see some more time on special teams, as well as providing tight end depth should Paul ultimately remain sidelined. Paul (concussion) has been ruled out for Sunday's game against the Seahawks. Analysis: Paul will miss his first game of the season after sustaining a concussion in the Week 8 loss to the Cowboys. His absence leaves Vernon Davis and Jeremy Sprinkle as the team's only healthy options at tight end, as starter Jordan Reed (hamstring) won't be playing Sunday either. Paul (concussion) did not practice Wednesday. Analysis: Given the nature of head injuries, there's no guarantee Paul will be ready for Sunday's contest. The backup tight end will have to pass through the league's concussion protocol before he can return to action. We should have a clearer understanding of his progress later in the week.